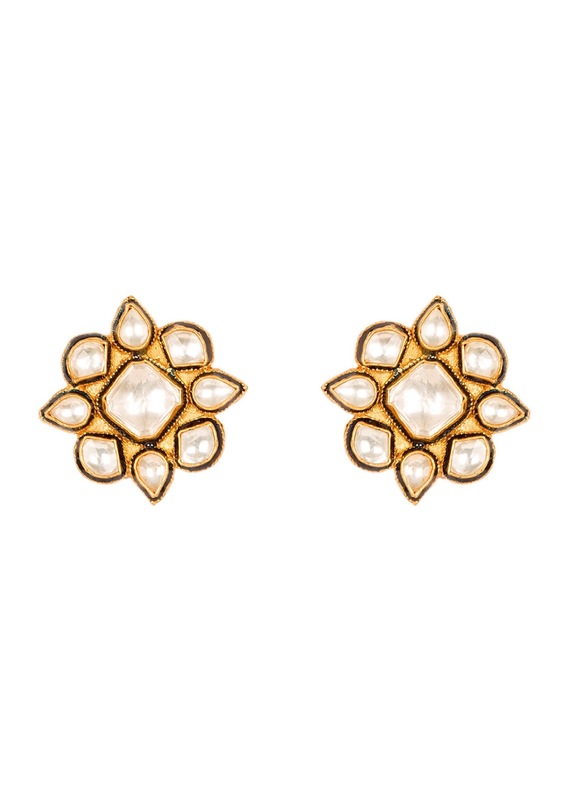 These square shaped polki stud earrings showcase a floral motif studded with kundan. Its elegant and minimalist style blends well with an array of ethnic outfits. 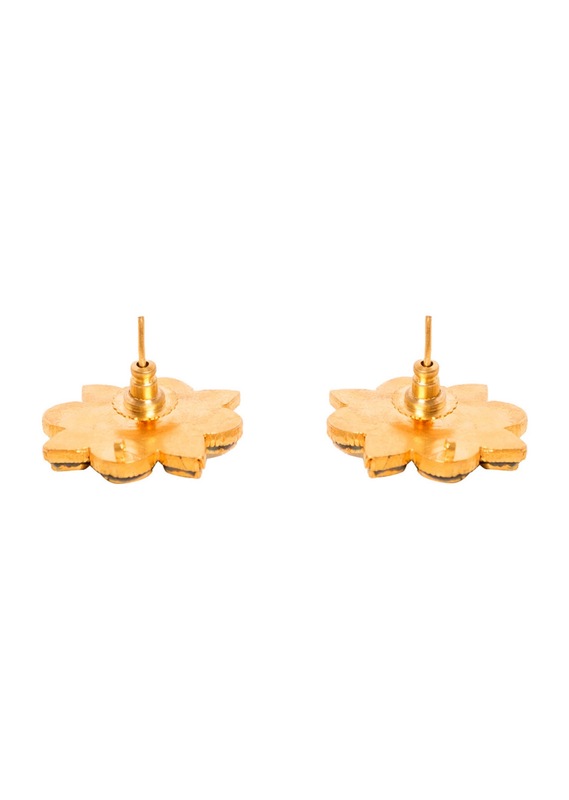 The earrings are nickel-free and feature 18k gold plating.